At one of my smaller schools I only have 1 student in grade 5. This can be quite difficult as it limits the activities I can do at times, such as games, etc. So today I wanted to try and make it interesting by making use of the technology in the classroom. 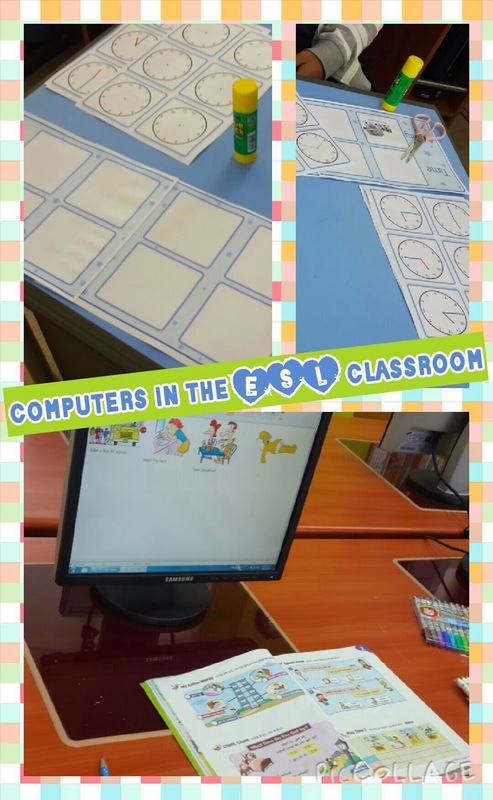 I realize for many teachers this isn't always an option but I do recommend asking to use the computer room one day! I'm going to try at my big school - will let you know what happens. Now, today was really simple. I asked the student to log onto Safe Images . Com which is a Kid Friendly image search engine. I made ours smaller than the download because we had other textbook things to do first, so only enough time for 4 activities and times. You could do more. Now, his 'mission' I told him, was to go to safe search. 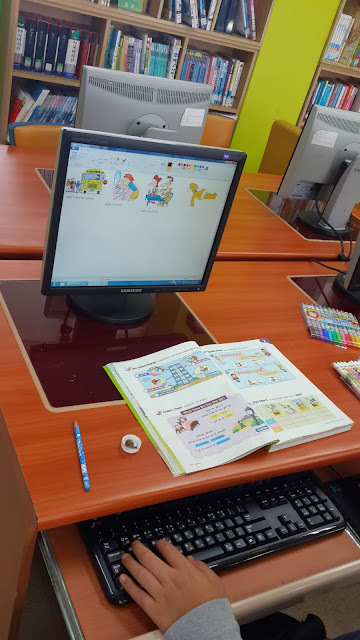 com and type in one of the daily activities from his book to find a picture. but I told him he could add more which he did - he added take the bus to school. 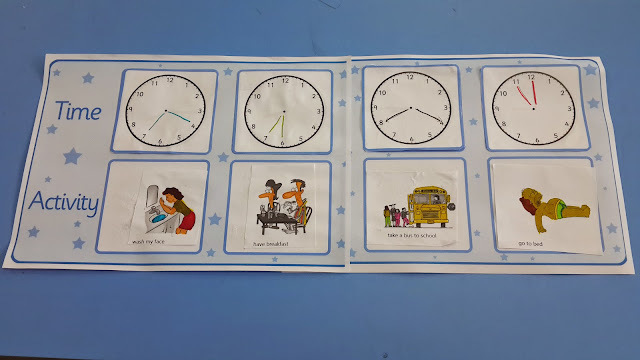 After that, we printed and he had to cut and stick the pictures as well as cut and stick the clocks and complete the clock faces with the appropriate arrows for time.